Little sailboats? The tiny roe that grace sushi? Lobsters or king salmon crisscrossing each other as they speed coast to coast nestled into their personal styrofoam cabins on Air FedEx? No! Real flying fish! The birdlike treats that flit flit flit up and skim the Caribbean water as you kayak by. MyMEGusta had always envisioned flying fish as being big, like tuna or marlin, but not so. They are little creatures, bigger than robins, but smaller and sleeker than pigeons. It all makes sense when you think about Japanese tobiko (flying fish roe) being tiny, so the fish should be, too. Flying fish are found throughout the world, and it is apparent that the sushi grade tobiko we enjoy in the United States comes from Hawaii and Japan. 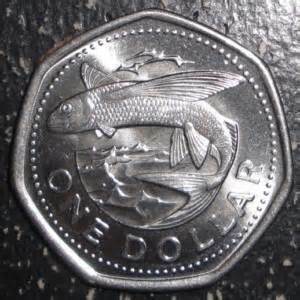 It does not seem to be captured at all in Barbados where the fish themselves are the treasure, never served raw, unless some enterprising chef is introducing this under myMEGusta’s radar. 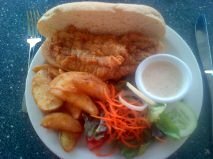 The national dish of Barbados, even featured on the local currency, flying fish are plentiful and relatively inexpensive, enjoyed fried in a “Bayan” spiced batter or grilled, and often served as “cutters”, the local term for subs (or po’ boys or grinders or hoagies or wedges….). The locals prefer it accompanying “cou cou”, a cornmeal based comfort food. The Barbadan fish markets, at least as exemplified by the one in Bridgetown, the capital, and Oistins (where the Friday night fish fry is a destination in itself) are really fish receivers and processors, accepting the catch on one end, and spitting out processed primal fish cuts (like a gutted swordfish or shark) as well as filets and steaks destined both for the wholesale chain or the homemaker buying for the day’s dinner. 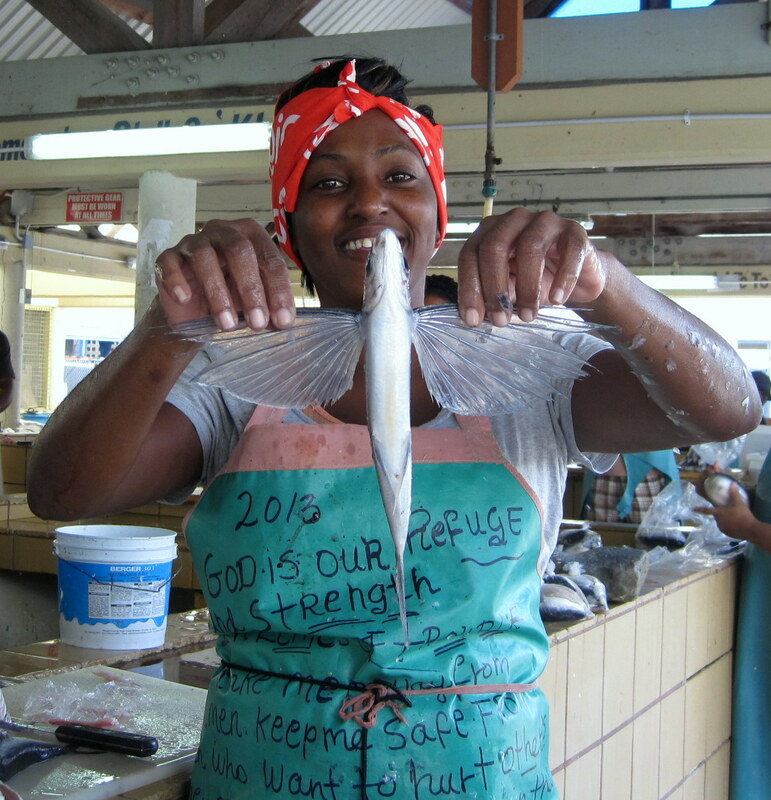 The flying fish of Barbados are not sold whole. Rather they pass through an assembly line process – gutters, skinners, fileters – and come out at the end in little plastic bags, ready for the pan. The flavor is simple but distinctive, and the seasonings are assertive, while the texture is similar to a flounder, but a little firmer. Perhaps a trip to Hawaii to check out the flying fish industry there is in order…. I hope you are having a great time on your cruise. Sounds like you are learning some interesting things…Happy New Year! Fascinating as always – thank you! 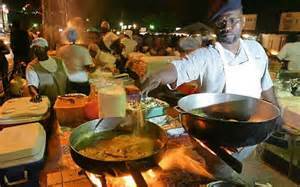 Just one minor correction … National dish of Barbados is Pudding & Souse. 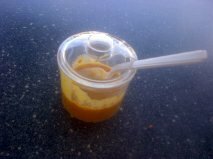 It is (Pudding) corn meal prepared much like polenta with Pig parts, feet, tail, head, all the yucky stuff! Taste however is wonderful. Flying fish, yes is their national symbol, like we in NA have flowers, birds etc. Caviar & Champagne at sunset anyone?